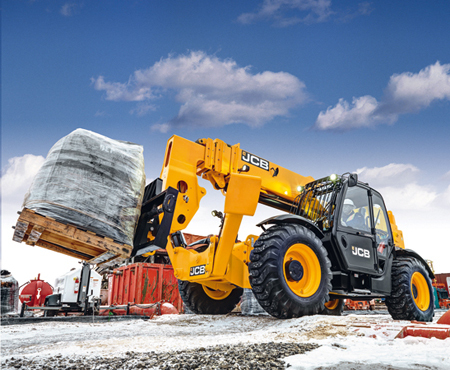 JCB exhibited a range of rental-ready machines at the ARA Show 2019, hosted by the American Rental Association in Anaheim, California. The event marked the debut for the JCB 512-56 Loadall telescopic handler equipped with a 74 hp JCB EcoMAX engine, making it the world’s first 5,443 kg telehandler that requires no diesel particulate filter (DPF), no diesel exhaust fluid (DEF) and no other engine after-treatment. Also at the show, JCB previewed 2 new machines that will launch in North America in coming months. The 1CXT backhoe loader – a compact, tracked machine with excellent material handling and excavating capabilities and the footprint and maneuverability more commonly associated with a compact track loader – and the 19C-1 IE electric mini excavator – the first of a new generation of JCB E-TEC electric products and will feature a 3-battery pack which will last a full working day with no compromise on performance and no emissions.